At our first meeting at the National Archives Washington, DC in 2012, Bernice Alexander Bennett looked me in the eye and said, “Michael when are you going to write that book?” Little did she realize then, that I would be also asking her that very same question. 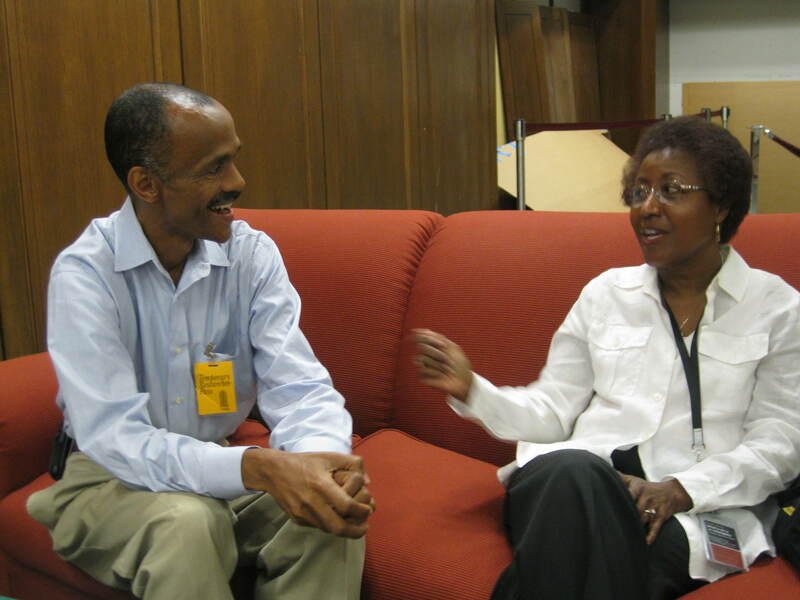 I had the pleasure of meeting Bernice Alexander Bennett in 2012 at the National Archives in Washington, DC. While there, Bernice and I—both avid genealogists and family history researchers—were encouraged by Anita Paul, publisher with The Write Image, to write about our genealogical research journey and discoveries. The following year 2013, I published my memoir, Got Proof! My Genealogical Journey Through the Use of Documentation. 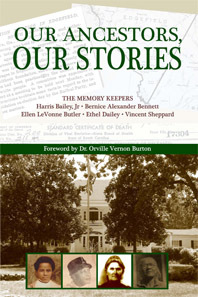 Bernice, along with four other authors (known as The Memory Keepers), decided to produce a collaborative book, since they all had current and ancestral connections to the town of Edgefield. Their book, Our Ancestors, Our Stories, was released earlier this year. 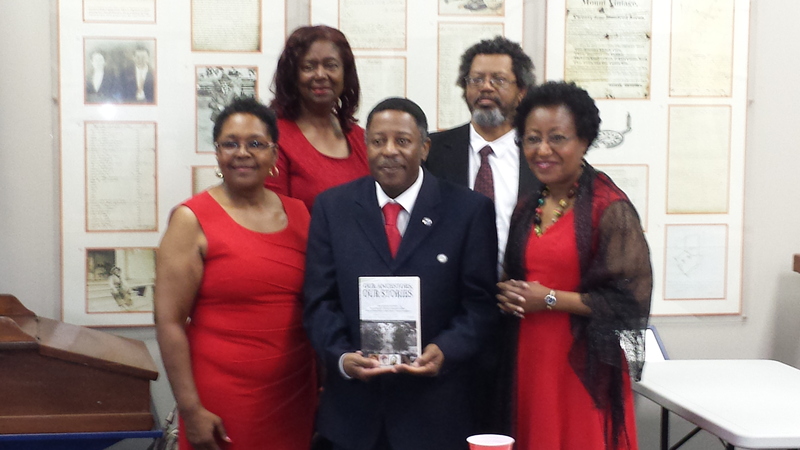 On Sunday, April 27, 2014, I attended their book signing in Edgefield, South Carolina. It was my first visit to this small town, and I was pleased to meet all five co-authors. The book signing presentation provided some very interesting insight into the authors’ research methods, strategies, and discoveries. For those who haven’t done African American genealogical research, and even for those with no ancestors in the Edgefield, South Carolina area, the book is a wealth of information about research techniques, South Carolina history, and family connections. The book opens with Harris Bailey Jr. giving a comprehensive history of the Old Edgefield District. At the book signing, he shared the importance of understanding the history of the area where one’s ancestors lived, and how that historical perspective can aid researchers. The other four authors—Ellen LeVonne Butler, Vincent Sheppard, Ethel Dailey, and Bernice Alexander Bennett—chronicle their quest to learn more about their ancestors who lived in the Edgefield area. Oral histories are important and could hold some essential information. Talk to as many relatives as you can. You may hear the same story from different relatives, so pay attention because each version could contain different information. When you put all of the stories together, more pieces of the puzzle will fall into place. The authors of this book started with oral histories and then found the documents to back up the stories. Oral histories can often get you going in the right direction. Be sensitive and respect those who don’t wish to discuss the past. Sometimes people are reluctant to discuss family stories due to unpleasant personal experiences. There are some great examples in Our Ancestors, Our Stories of techniques to use when trying to obtain information from relatives who aren’t as enthusiastic about the family history as you are. Sometimes visiting the place where the family was from is necessary. Many of the authors are descendants of those who once lived in Edgefield, yet the authors themselves live outside of this community. They stressed that if you wish to do a thorough job in researching your family’s history, you must visit your ancestors’ home place. There are many examples of this in the book. Generally speaking, you will have better success if you focus on only one line at a time. These five authors were striving toward a specific goal of documenting their ancestral connections to Edgefield. They followed various surnames that revealed information to craft their stories. I too have taken this approach. Genealogy is a journey that requires patience. Don’t expect to get the answers you are looking for in a day, a week, or a month. Sometimes it will take a few years. Be patient and keep searching. There are answers to be found. Our Ancestors, Our Stories is an engaging compilation of genealogical research. It is well crafted to provide insight into how to conduct family history research. You can learn so much by seeing the steps these authors have taken to research their family lines. Their journey, discoveries, and stories will no doubt inspire.